"The Matzo That Tastes Good"
YIDDISH FARM PICK UP WILL CONTINUE UNTIL THURSDAY AT 3PM. 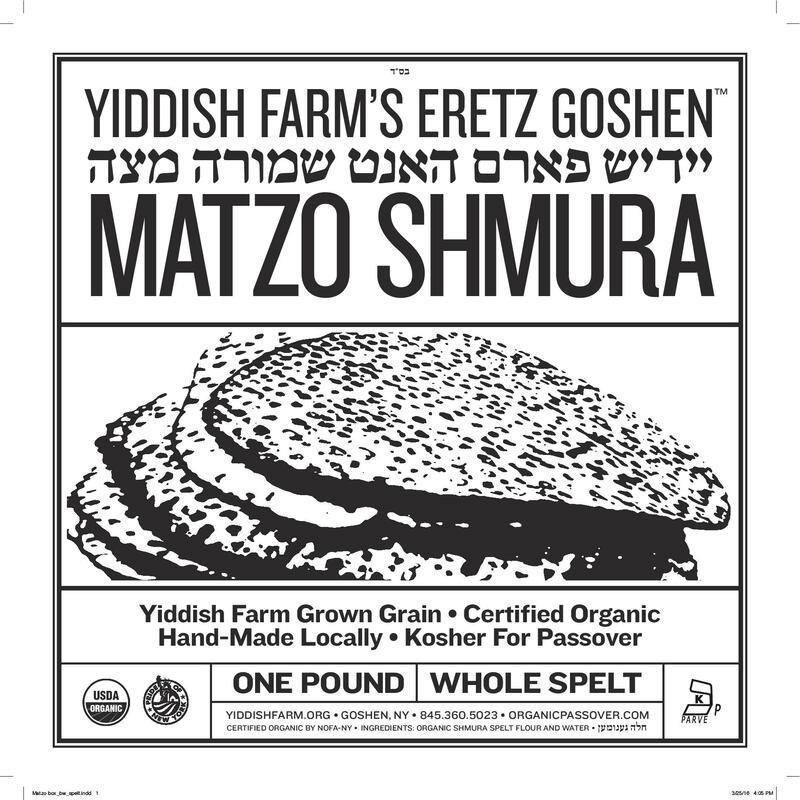 The only farm to seder table matzo on the market. 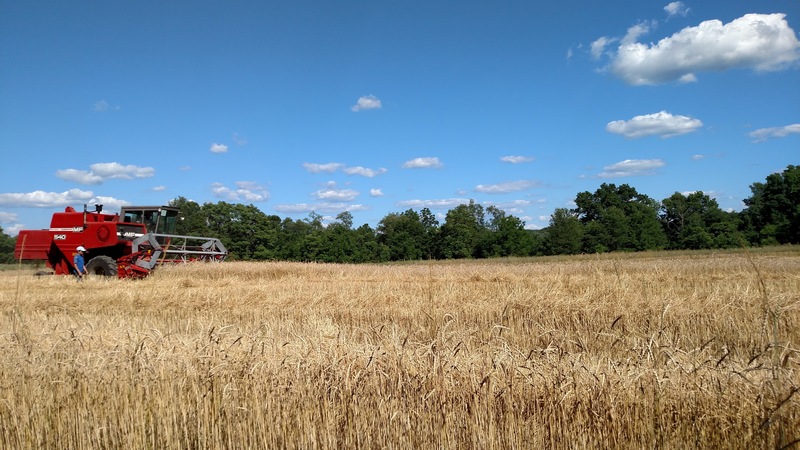 Our grain is cultivated and milled by Goshen, NY farmer Yisroel Bass. With beard and sidelocks, Yisroel Bass does not have the appearance of a typical American farmer. However, since 2011, he has been tirelessly to manage all aspects of production for Yiddish Farm. He ensures that the grains and crops meet the highest organic standards and he continues building up most of the farm’s infrastructure from scratch. 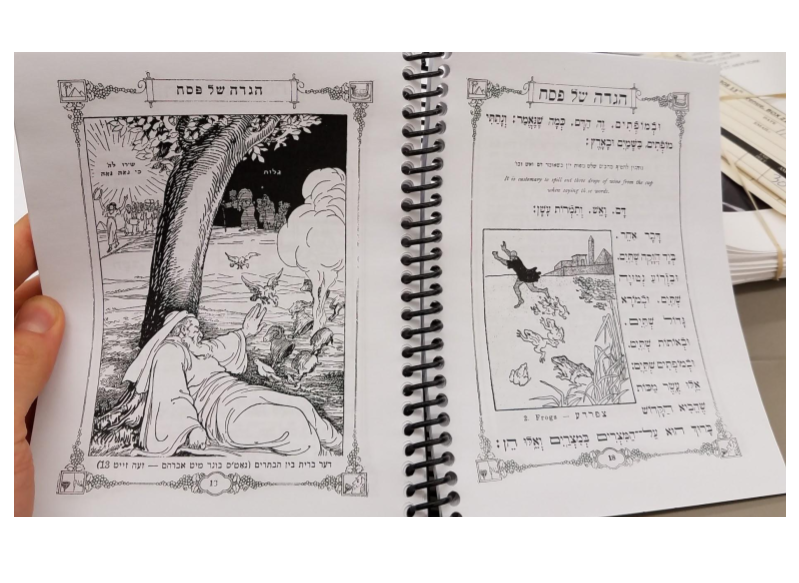 In addition to farming, Yisroel enjoys sailing and writing. He lives on the farm with his wife Yonit and their children. 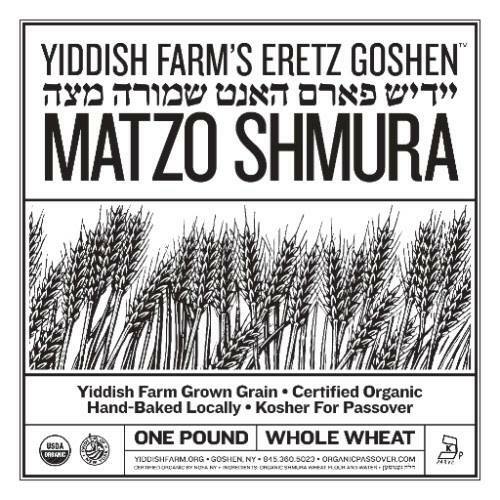 Flour is yoshon and made from locally grown Yiddish Farm grain. 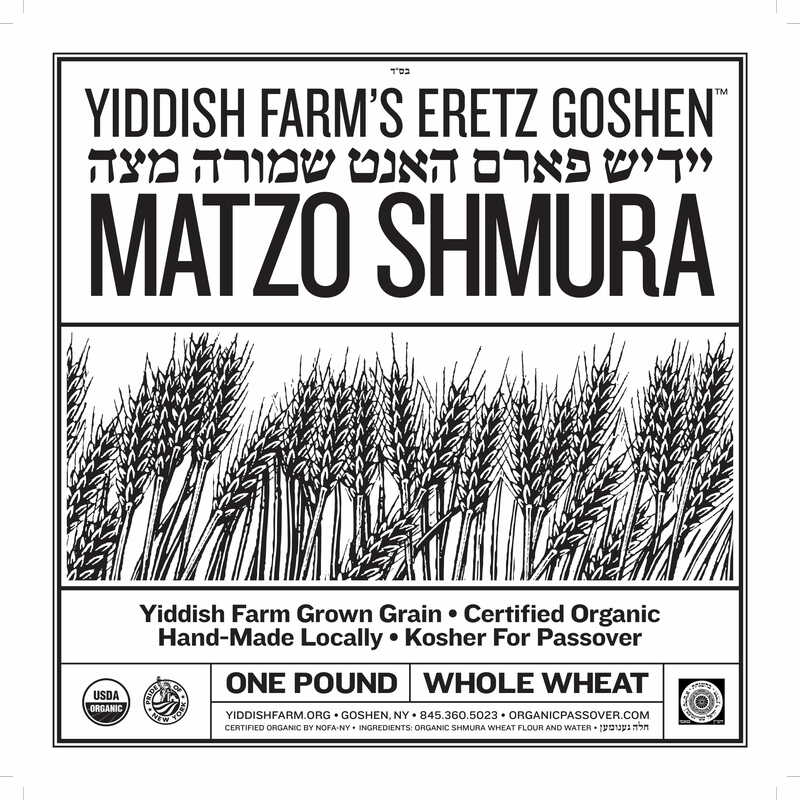 There are between 6-7 matzos in a pound (box). Ship-To-Me Customers' corrugated boxes are packed with bubble wrap. *The matzos of customers who fail to pay shipping invoices will be donated to charity along with all other unclaimed orders. **Orders are final and cannot be changed once they are paid. *** N.B. We do not have a special "spelt" box this year, we will be affixing "spelt" stickers over our traditional box, if your box has a spelt sticker, it is spelt! Packed in 1 lb boxes. 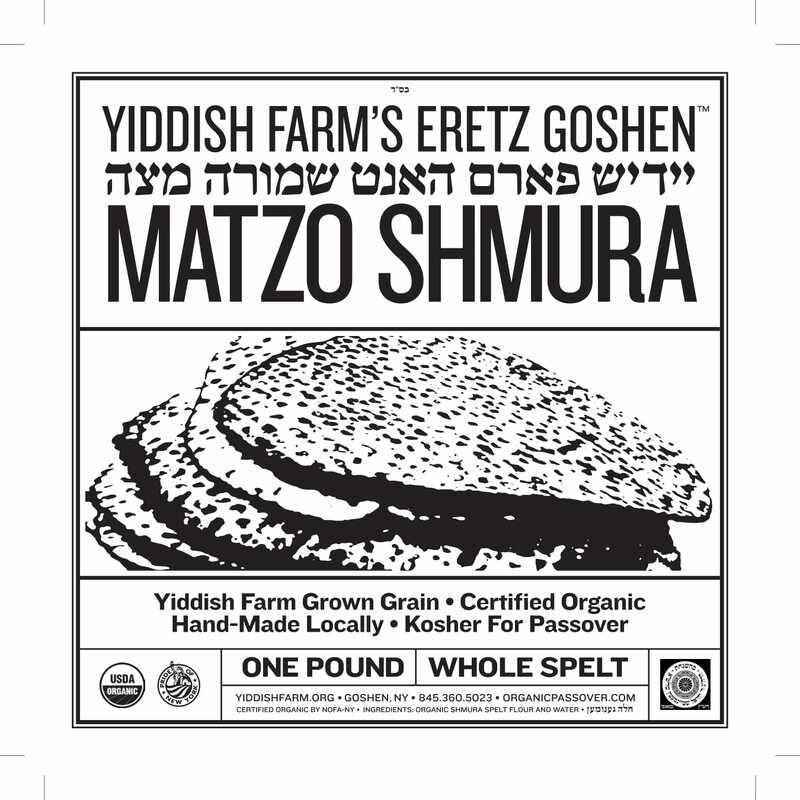 Our original organic matzo! Nothing like it! Packed in 1 lb boxes. The "heritage" organic matzo! Made with our Oberkulmer spelt. Nothing like it! Number must match quantity specified in "select products and amounts"
Number must match quantity specified on "select products and amounts"
Would you like to serve as a pick-up location volunteer? Please note - if you have chosen the "ship to me" option, you will be contacted with shipping costs and invoiced; shipping is at your expense. Matzos are shipped with bubble wrap. Shipping costs will need to be paid before matzo can be shipped. Ship-To-Me matzos are packed in corrugated boxes with bubble wrap. Yiddish Farm Ship-To-Me orders are insured. While we cannot guarantee that matzos will arrive intact, if your matzo arrive in unsatisfactory condition and we are notified more than 10 days before Passover we will do our best to ship you replacement matzos. Yiddish Farm cannot guarantee that shipped matzo will arrive intact. Horseradish: It is ship-to-me only (not available for pick-up). If you are a pick-up-location customer and you buy horseradish you will be invoiced seperately for horseradish shipping. If you are a ship-to-me customer, your big horseradish will ship seperately from your matzos and you may be invoiced seperately depending how weather conditions impact harvest. Please make your order selection below. If paying by check total is due before matzo can be picked up or delivered. If you are a ship-to-me customer you will be invoiced seperately for shipping.